At Harvard Business School (HBS), MBA students are pondering a future when robots rule the road. The pioneers of the driverless car movement — such as Google and Tesla — are mapping the MBAs a future in which artificial intelligence and robotics will likely impact the entire job market and global economy. David Yoffie, professor of international business administration at HBS, believes such disruptive technologies are now an “essential” part of the b-school landscape. “What I’m trying to teach students is: What can these technologies deliver? And what are the challenges and opportunities for a company that does AI?” he says. David’s offered his MBAs two cases on artificial intelligence (or AI) and deep learning, and reckons that many of his colleagues at HBS are bringing robots into the curriculum too: “It’s a capability that MBAs need to know about,” he says. Students must understand how these technologies work on a basic level but, more importantly, how they may shape businesses of the future, says Jonathan Trevor, associate professor at Oxford University’s Saïd Business School. 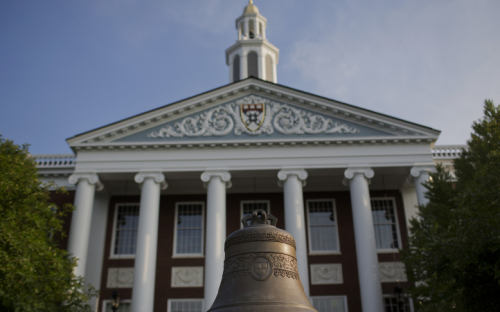 HBS and Oxford are two of eight top-ranked business schools to have told BusinessBecause that the robot invasion is breaking into the MBA degree — among them INSEAD, Cornell and ESCP Europe. NYU’s Stern School of Business offers courses on basic data handling skills plus programming languages like Python, and an introduction to machine learning. And at MIT Sloan School of Management, MBAs can take electives on AI and robotics at MIT’s Computer Science and Artificial Intelligence Labs, says Thomas Roemer, senior lecturer. “Business schools are putting more artificial intelligence or data science content into their curricula,” says professor Vasant Dhar of NYU Stern and the Center for Data Science. Like many of his peers, Vasant believes that, as machines become better at interpreting unstructured information and acting on it automatically, they will replace humans. Researchers at Oxford University reckon 47% of US jobs are at risk of being replaced by automation. Not only is proficiency in big data analytics now all the rage, but the ability to work with technologists too is hot in demand. “Students need to know how to communicate with the [data] scientists and machine learning experts,” says Thomas Lee, visiting assistant professor at UC Berkeley’s Haas School of Business. While many schools have focused on the technical tools needed for the android invasion, it is the so-called “soft skills”, such as emotional intelligence and creativity, which are unlikely to be best performed by machines. “Negotiation, collaboration, working in multi-cultural teams and networking with multiple stakeholders — these will all be very important skills in the future,” says Lynda Gratton, professor of management practice at London Business School.